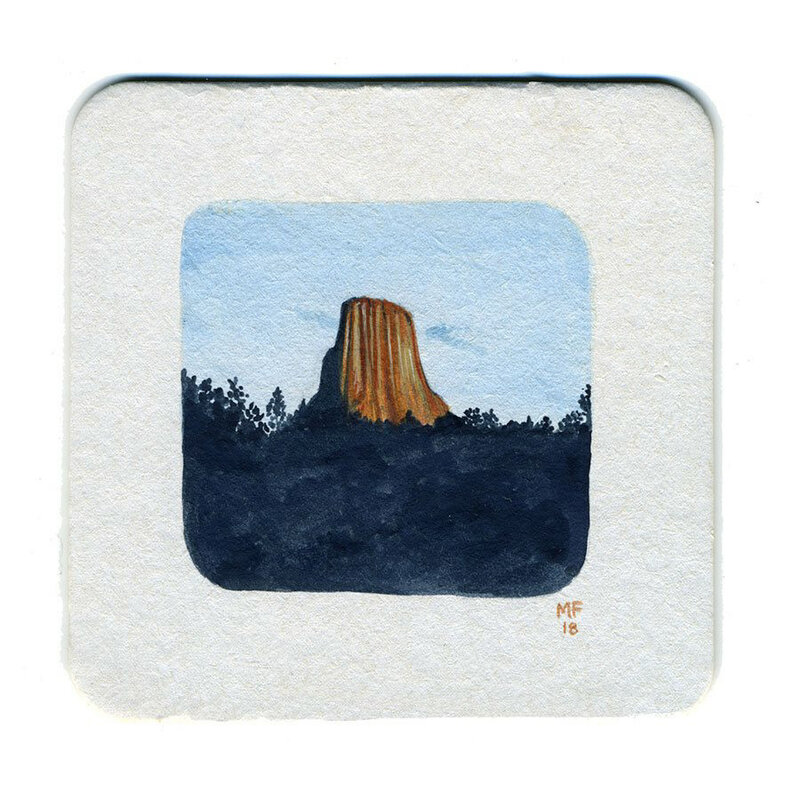 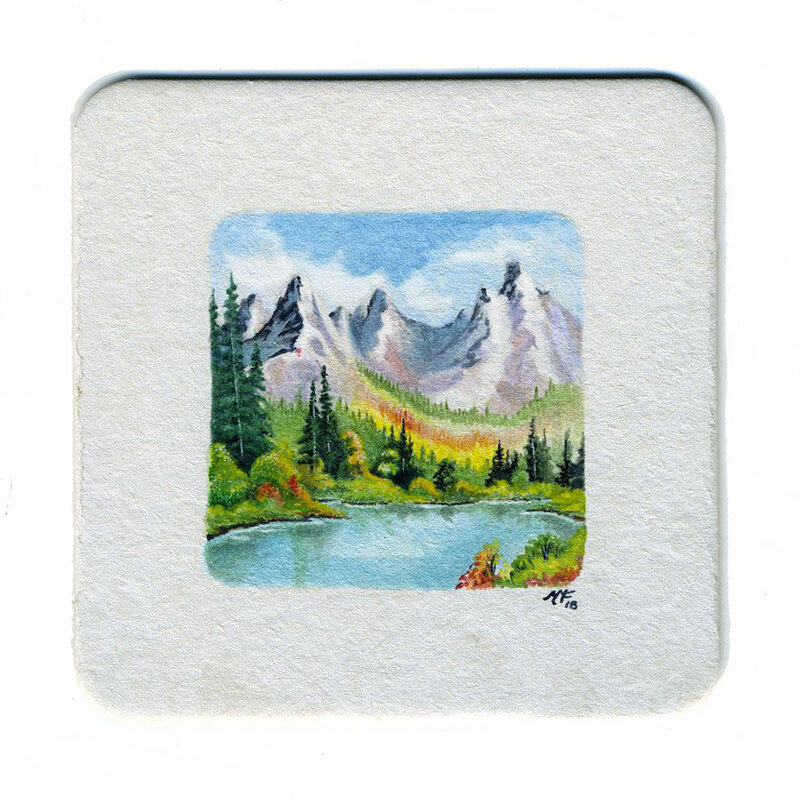 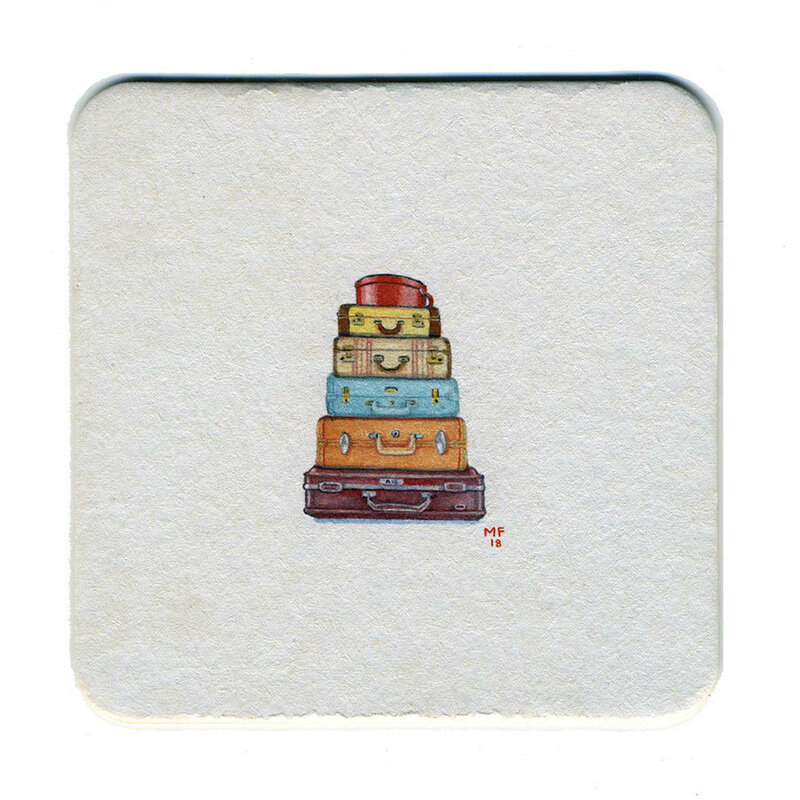 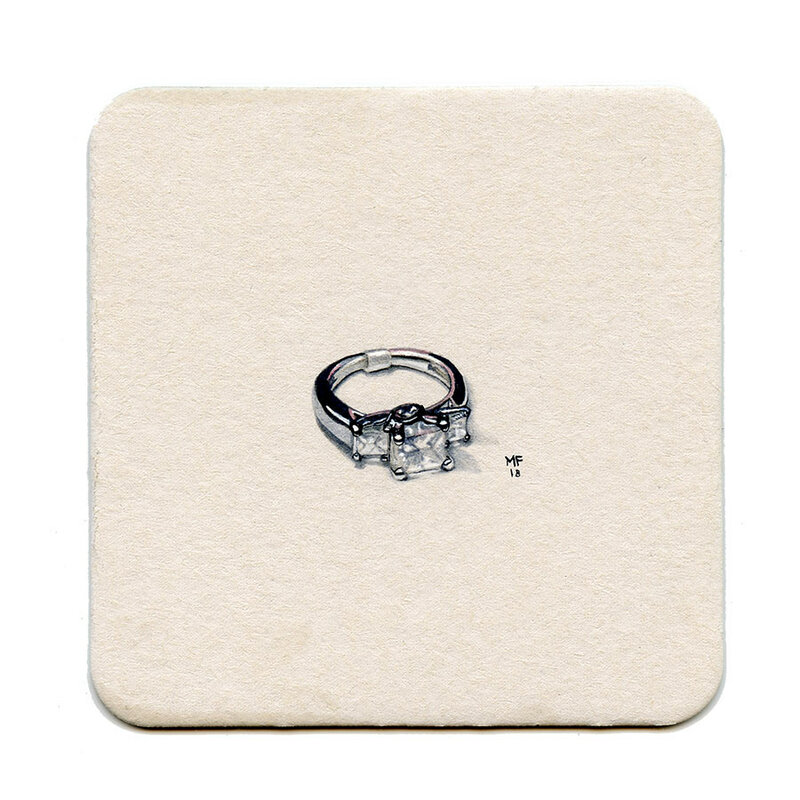 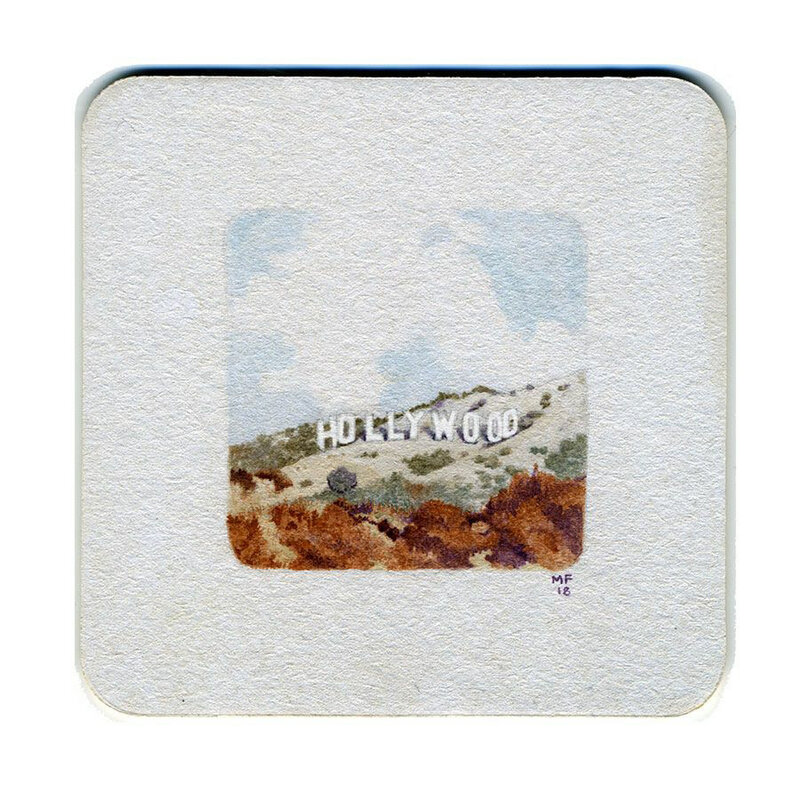 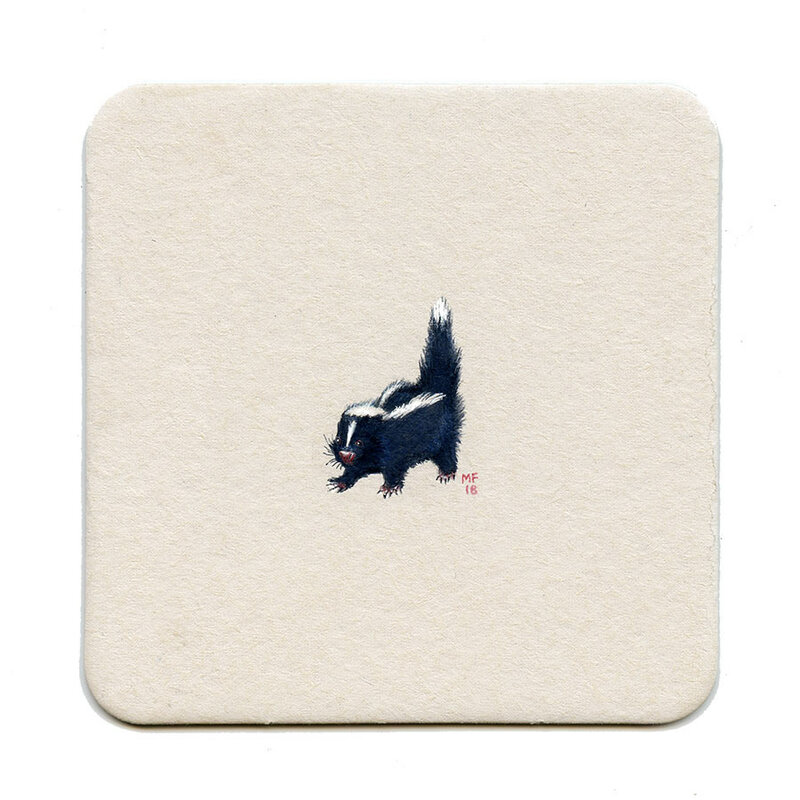 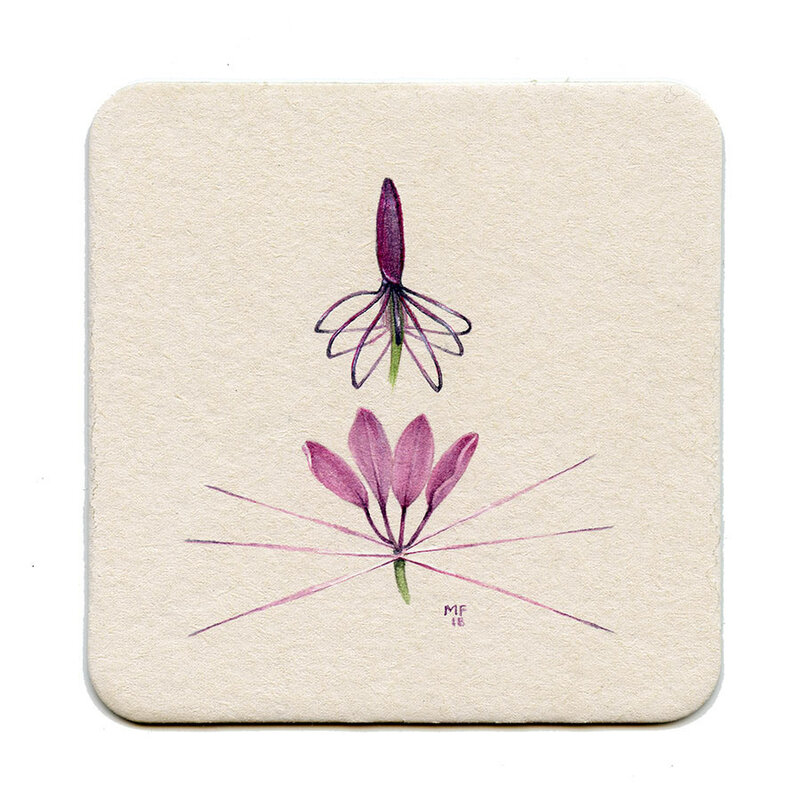 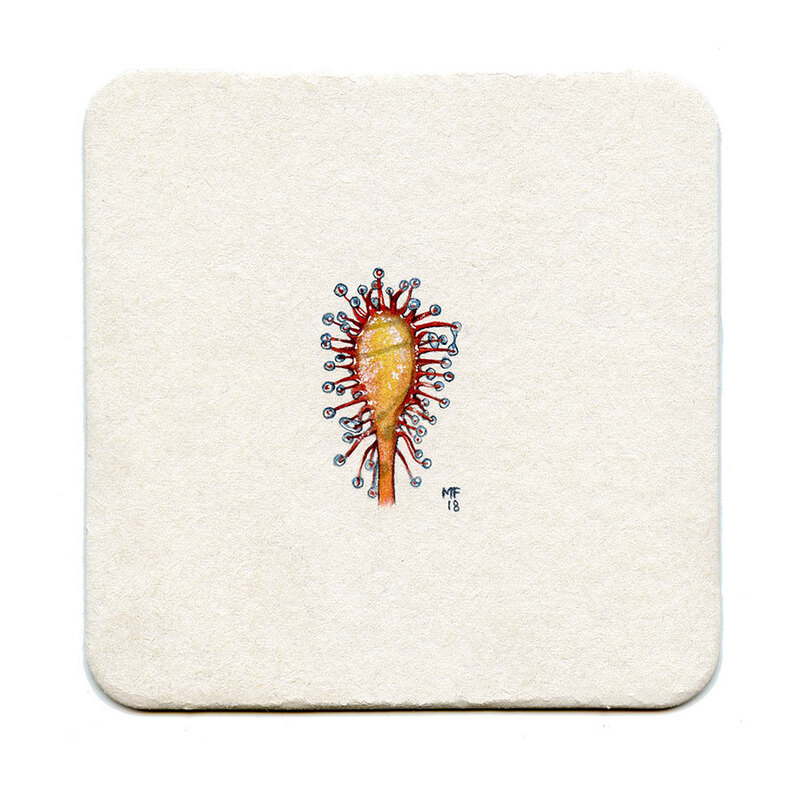 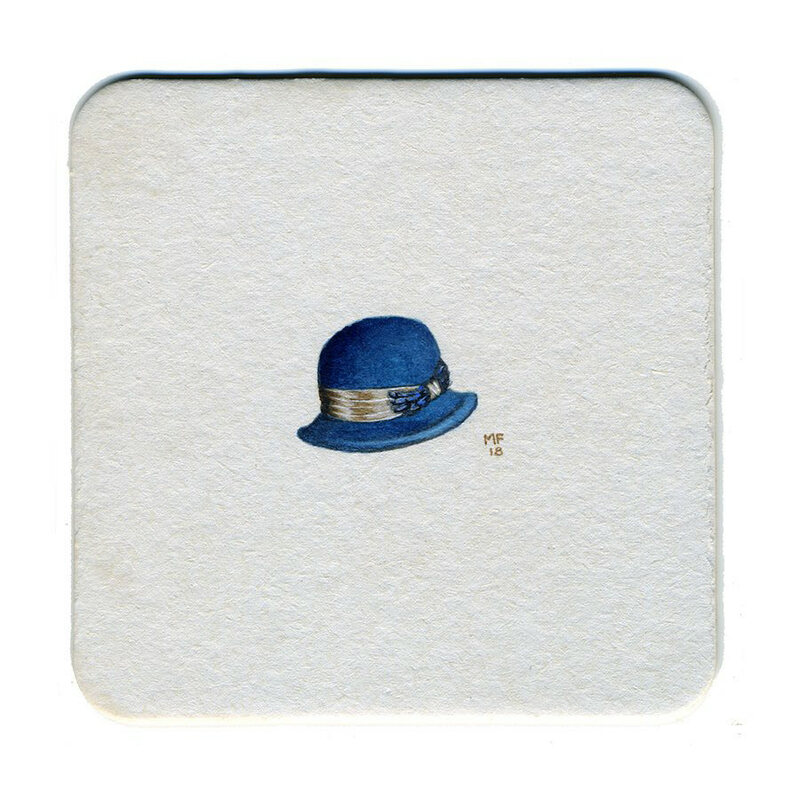 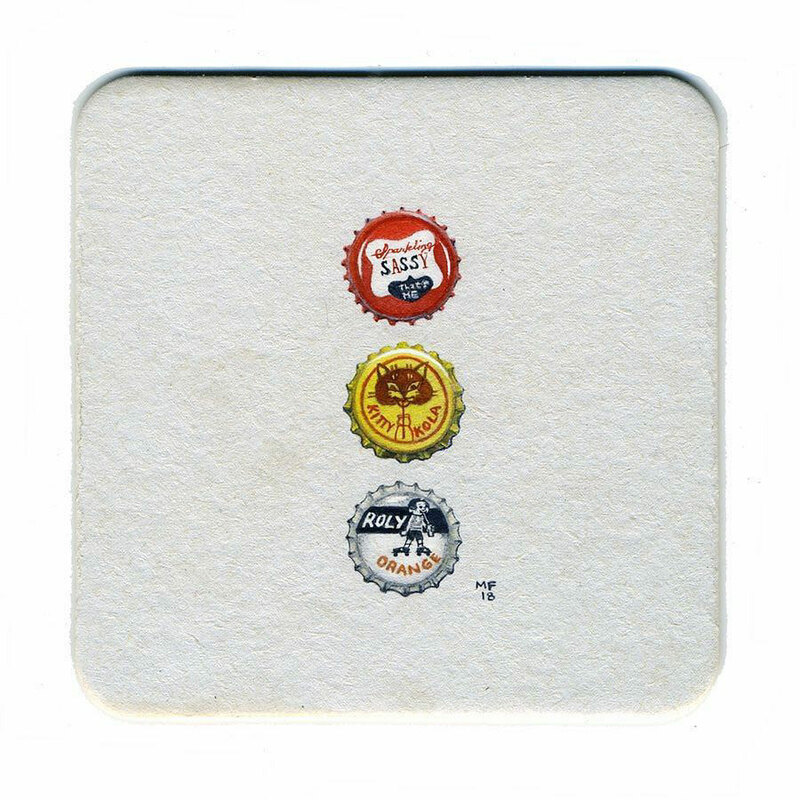 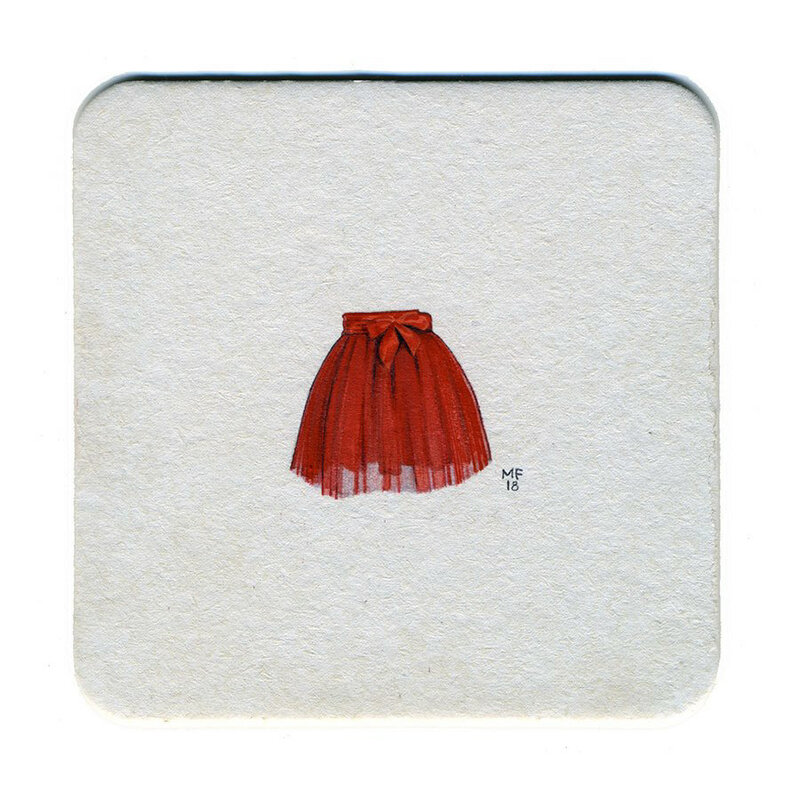 • Create a realistic painting on 4x4" rounded-corner "coasters" (heavy card stock) every day for a year. 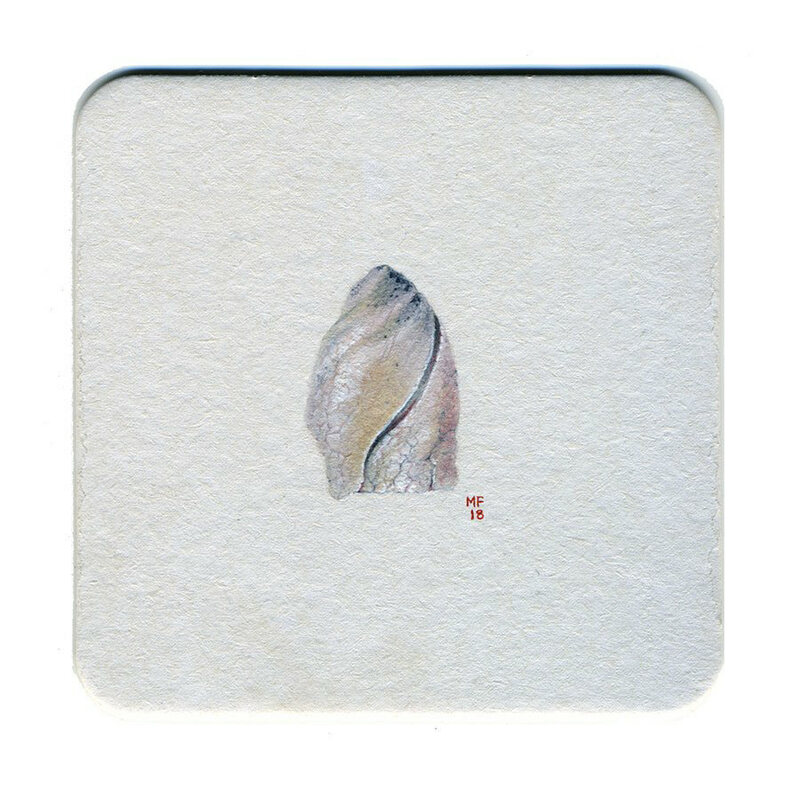 • The maximum (creation) time limit per painting is 1 hr. 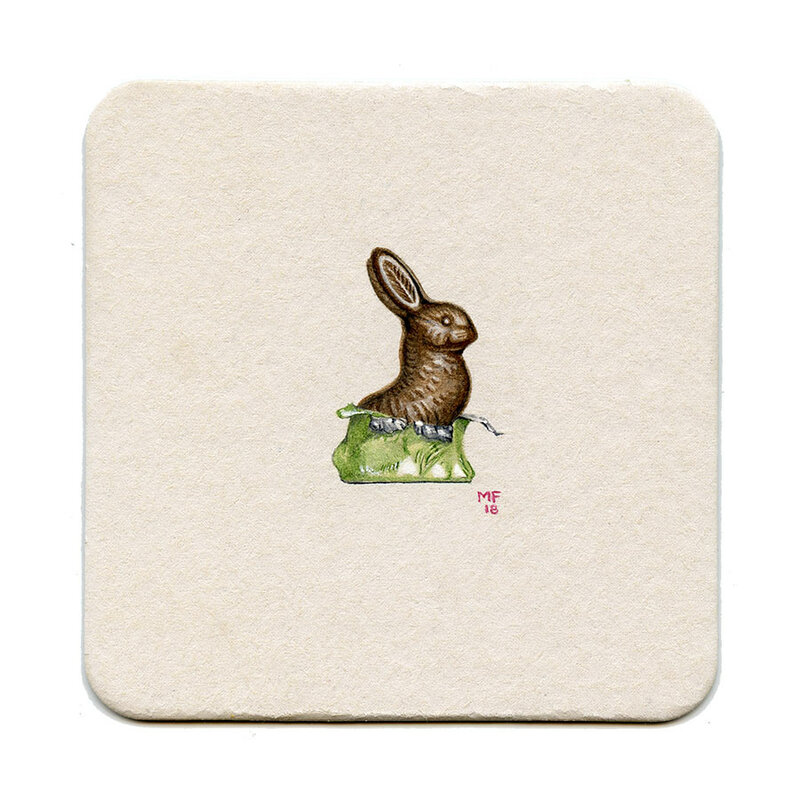 & each are done a day ahead of posting. 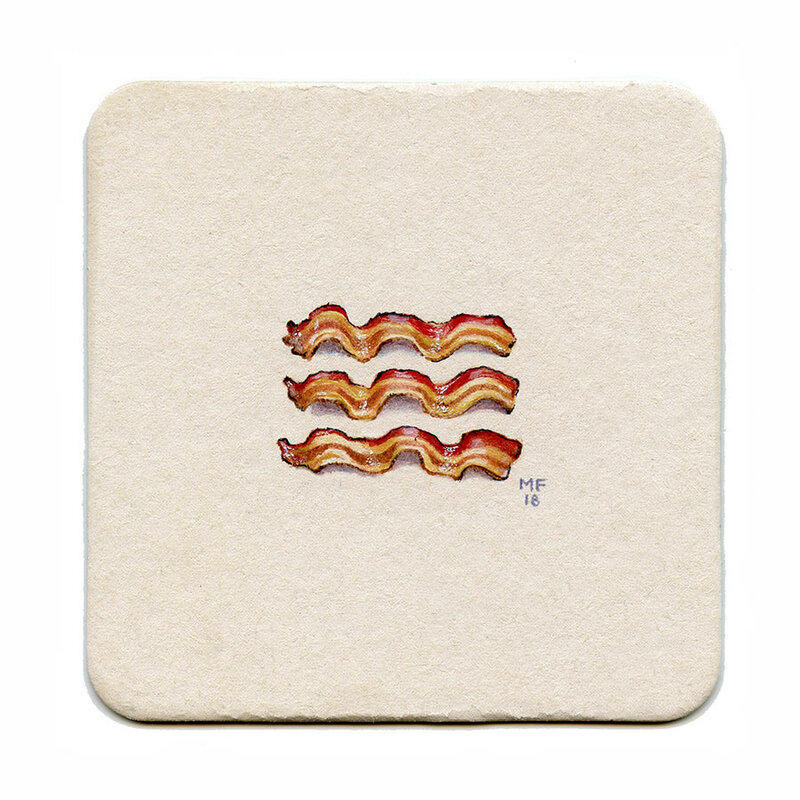 • Every day of the week has a theme with occasional (saucy) bonus paintings thrown in on Mondays (see below). 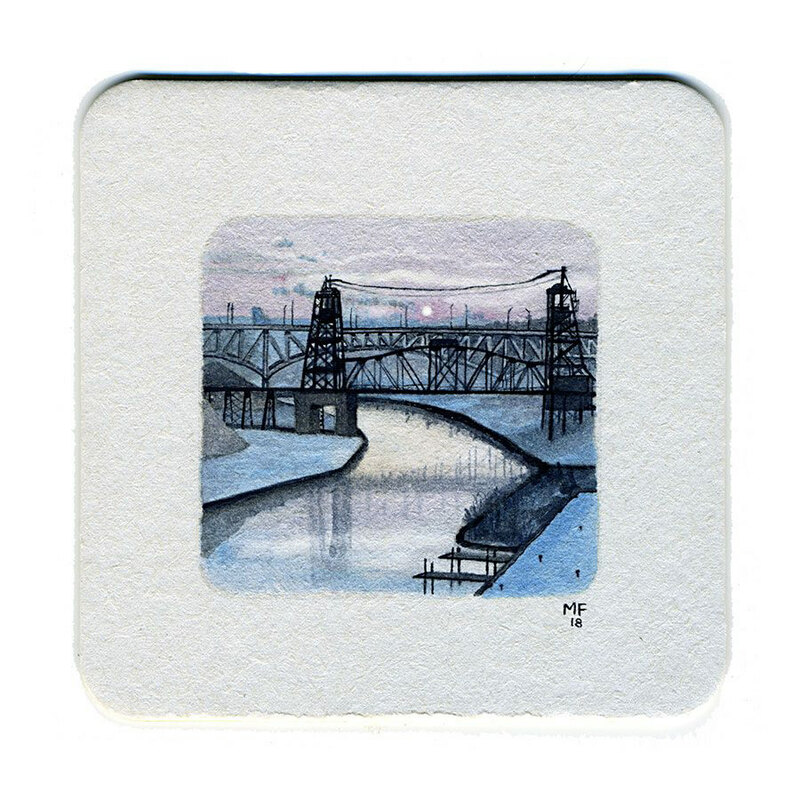 • Daily posts are made to IG, my established FB page & a gallery that lives on my website. 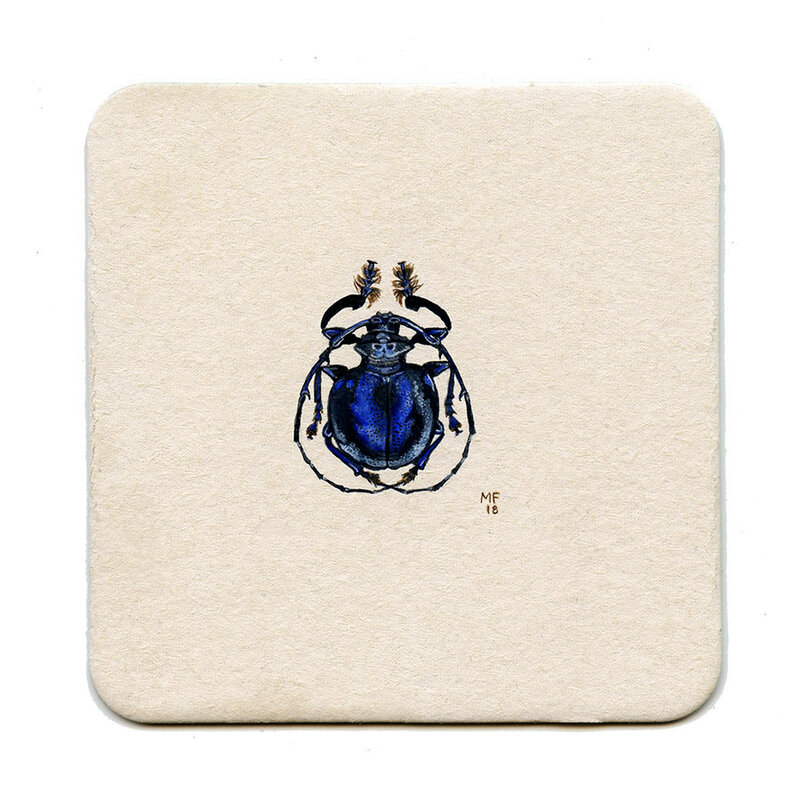 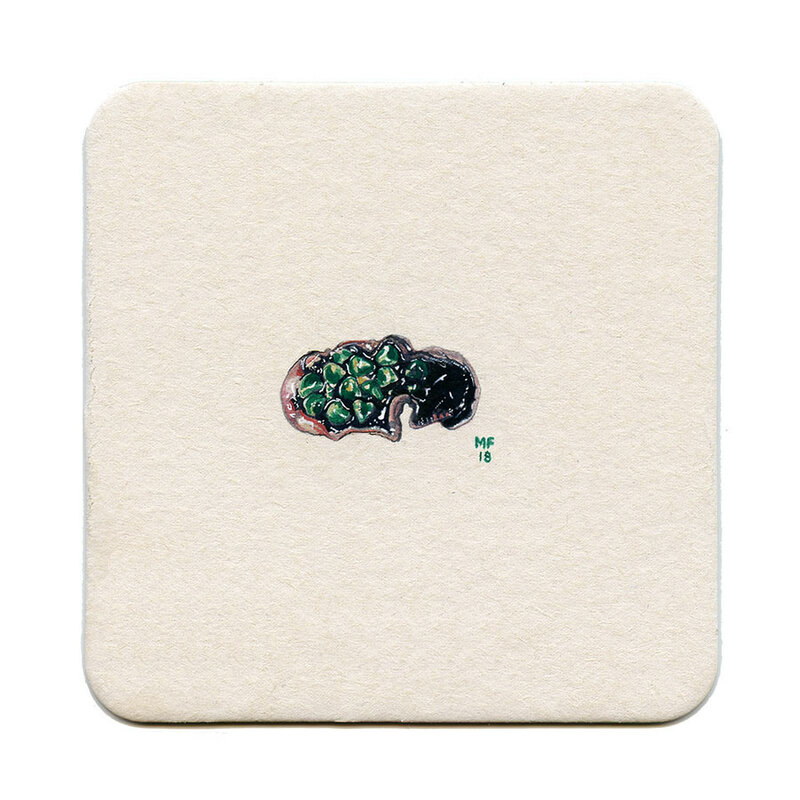 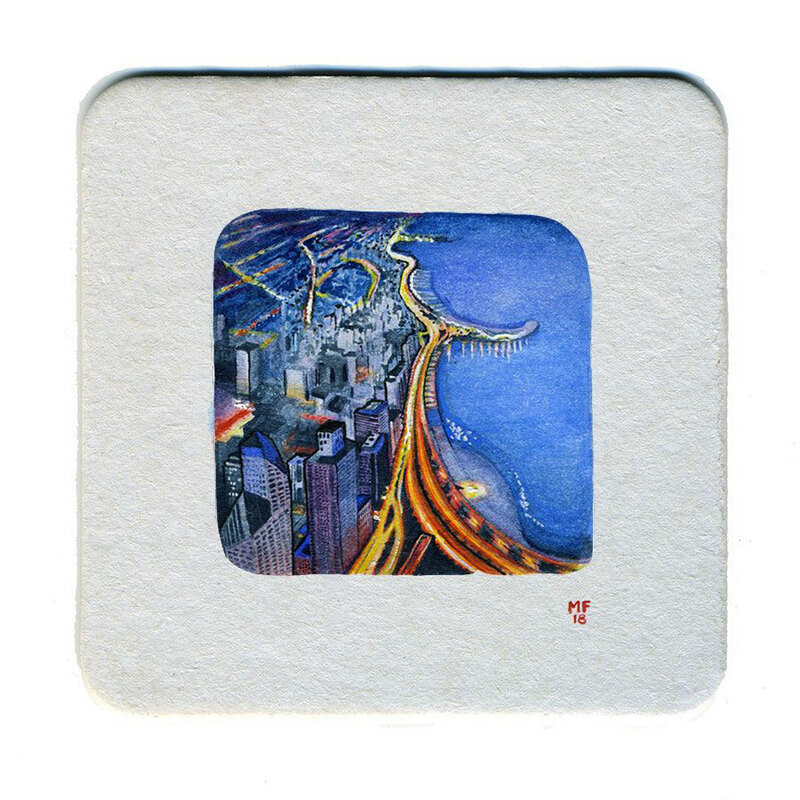 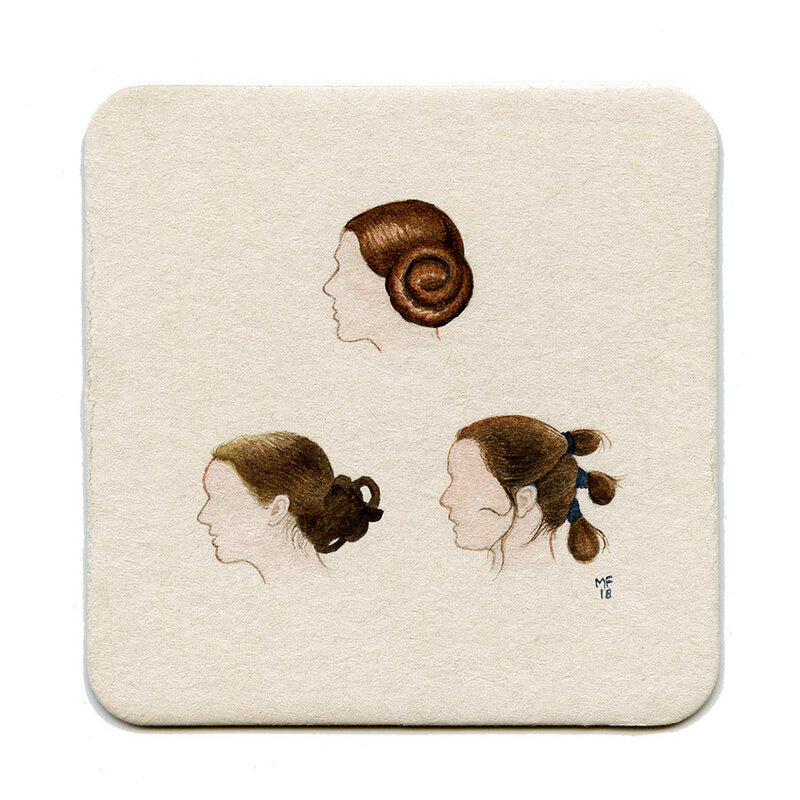 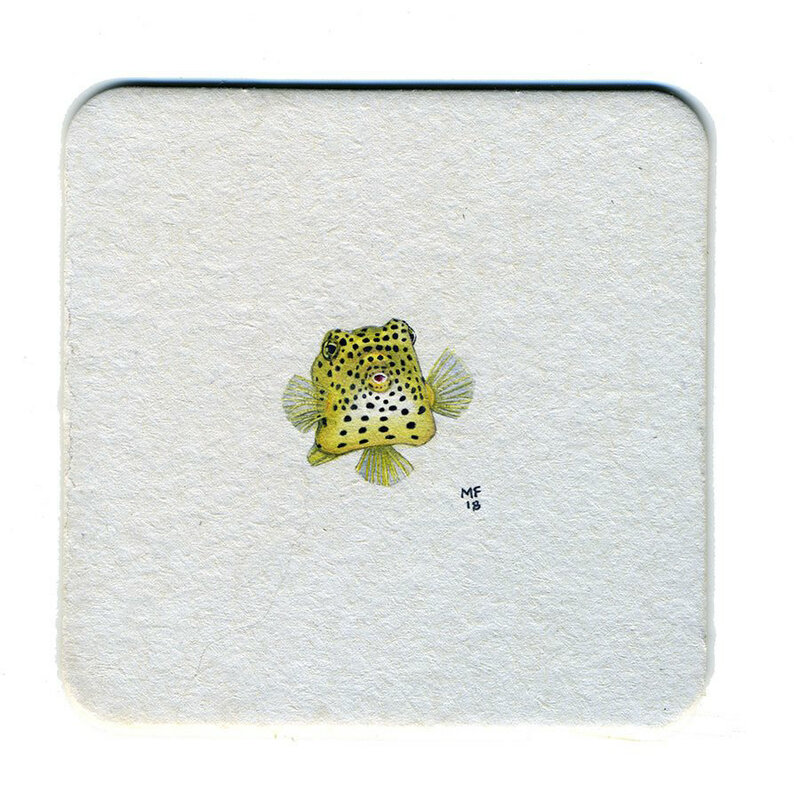 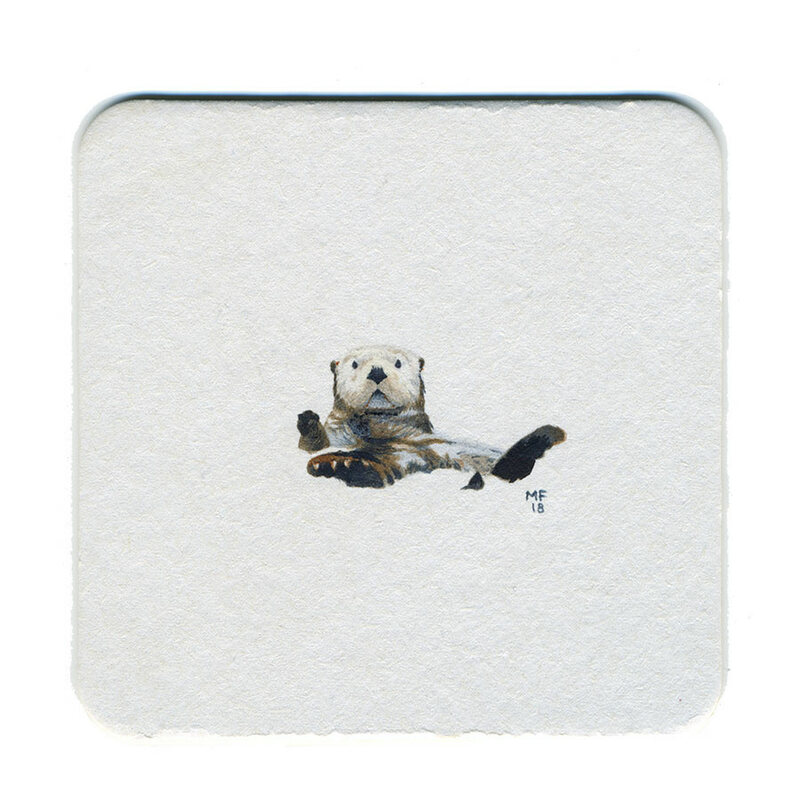 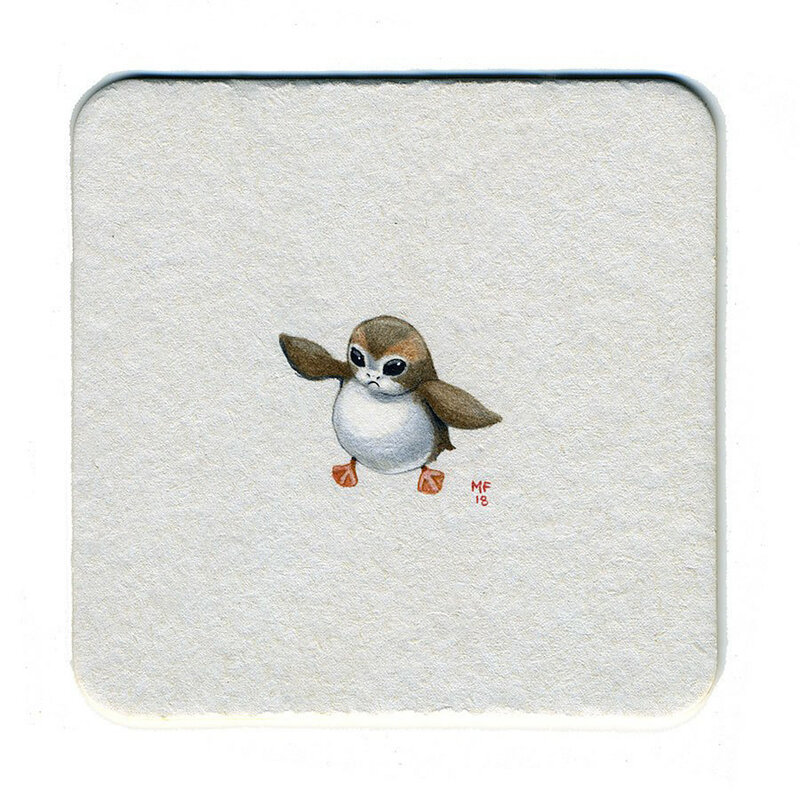 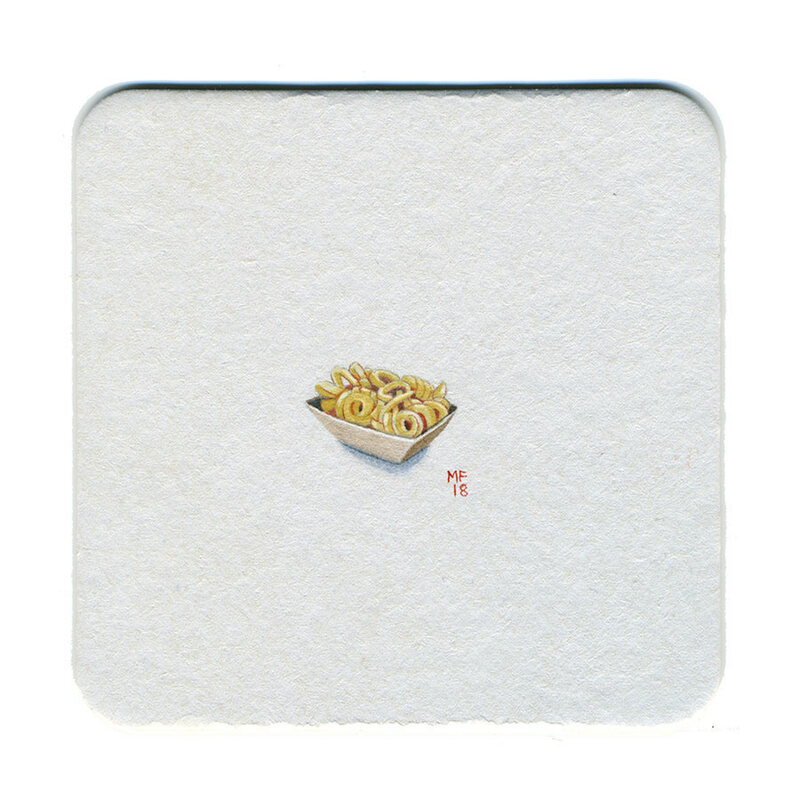 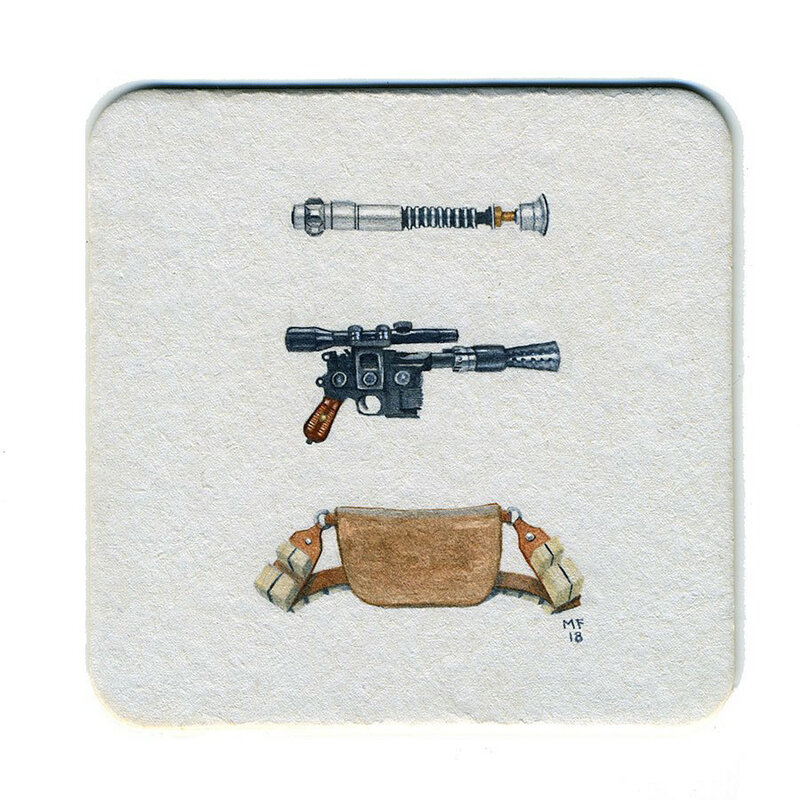 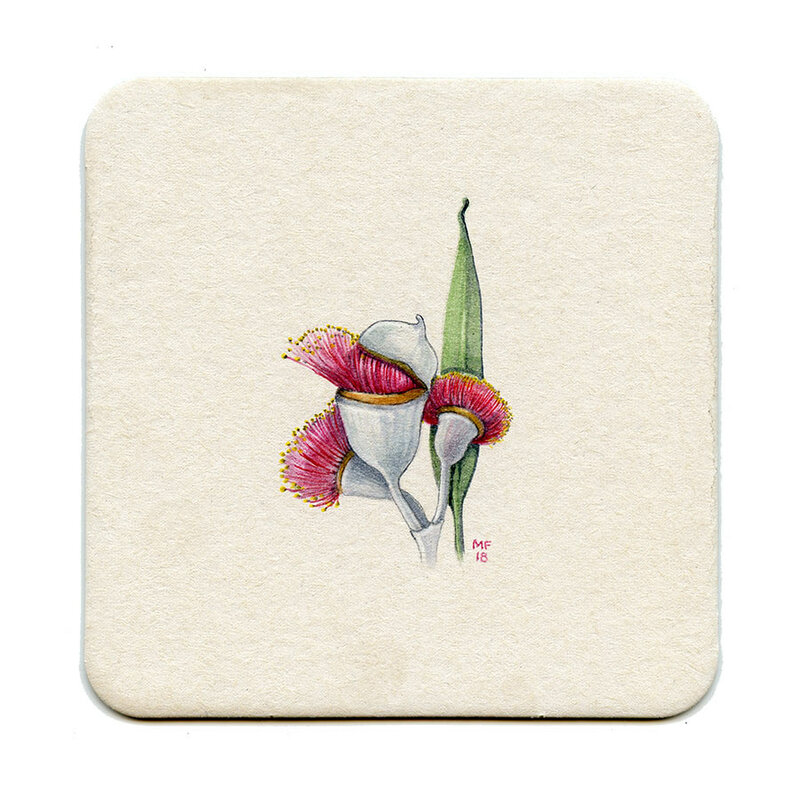 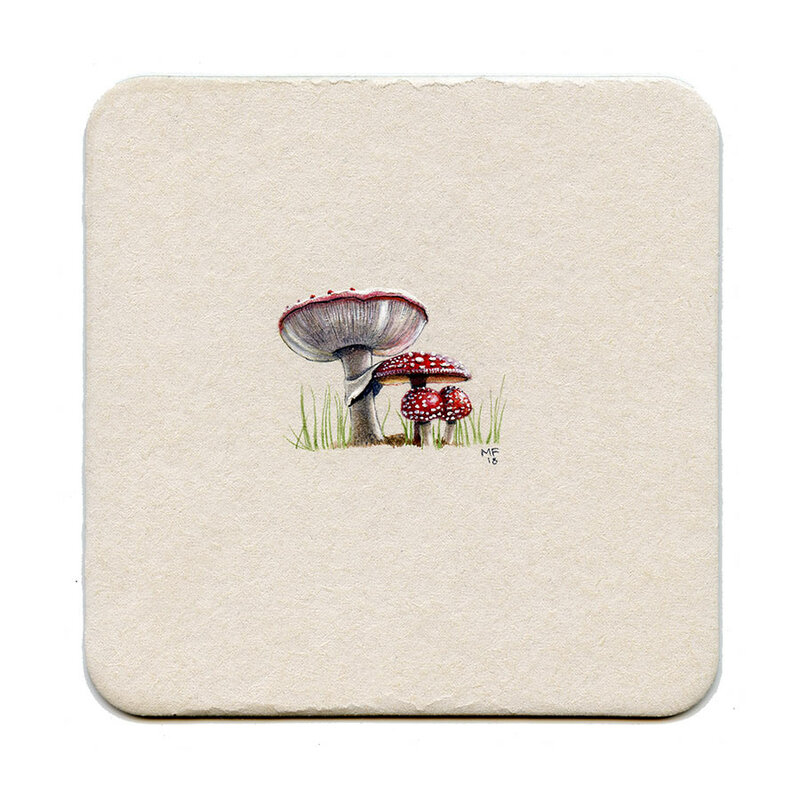 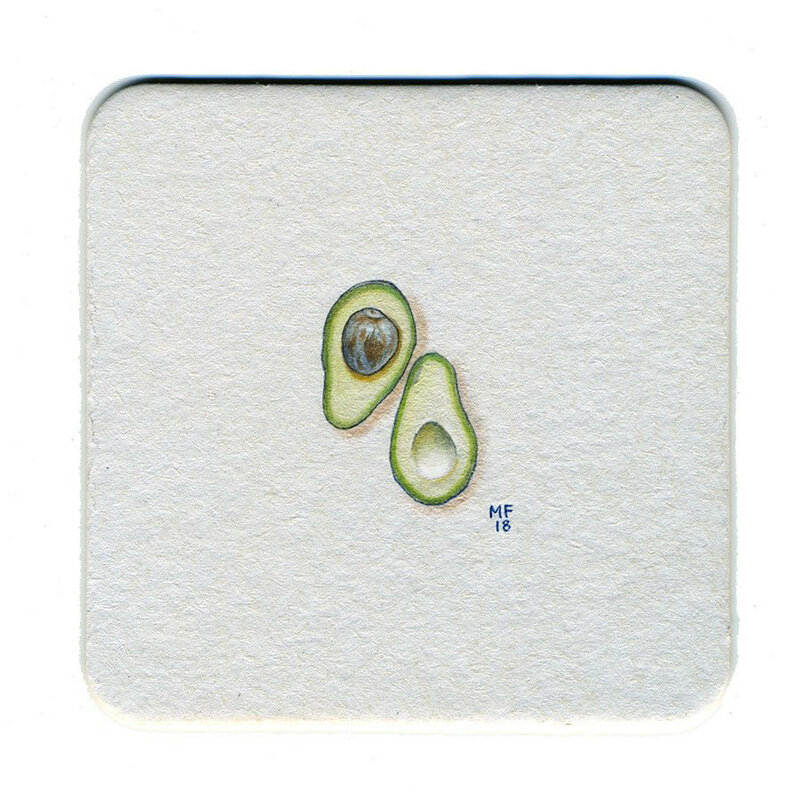 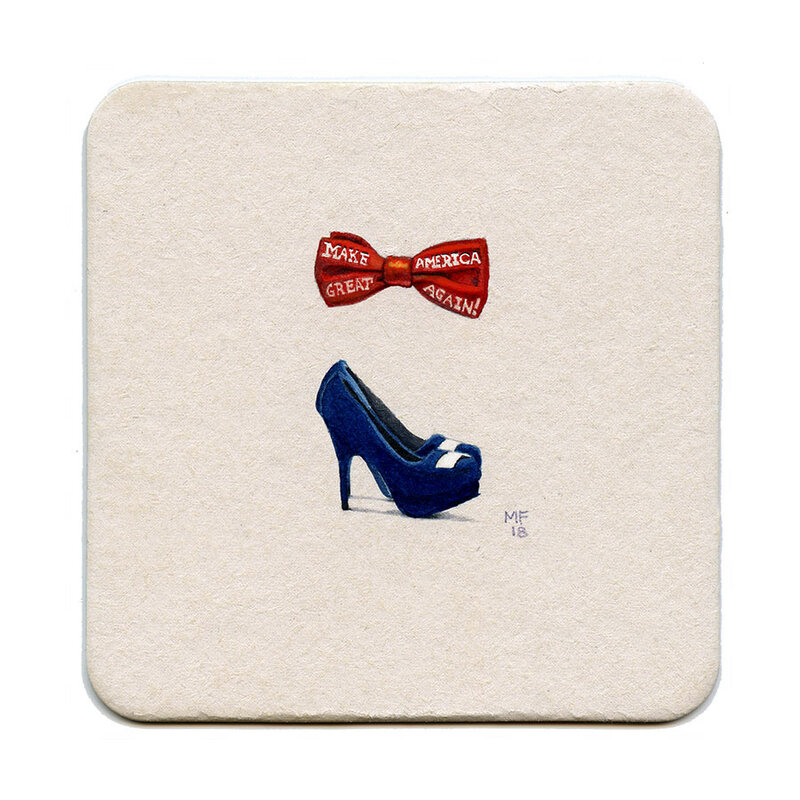 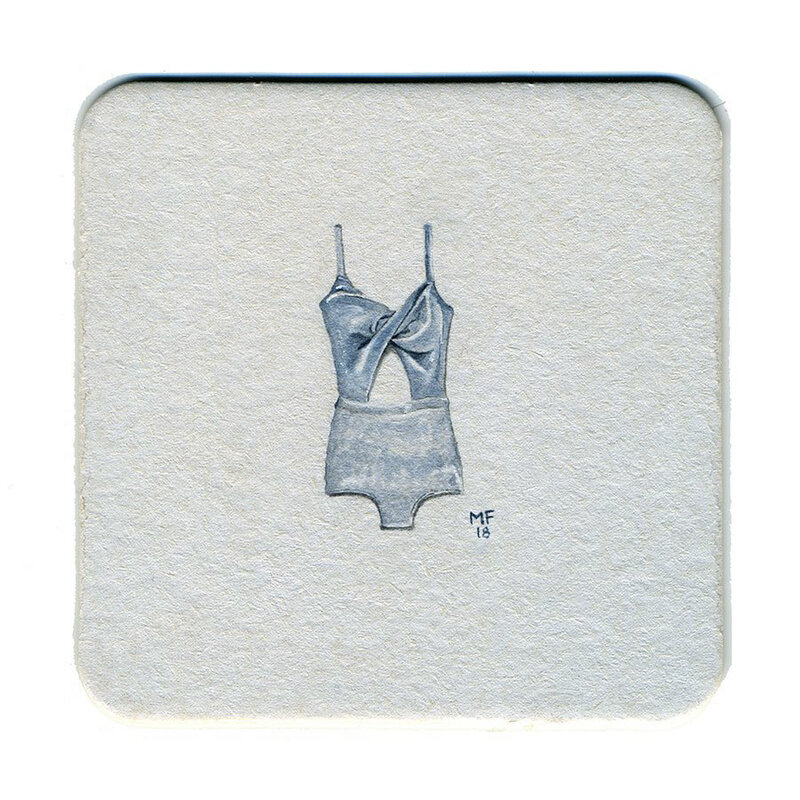 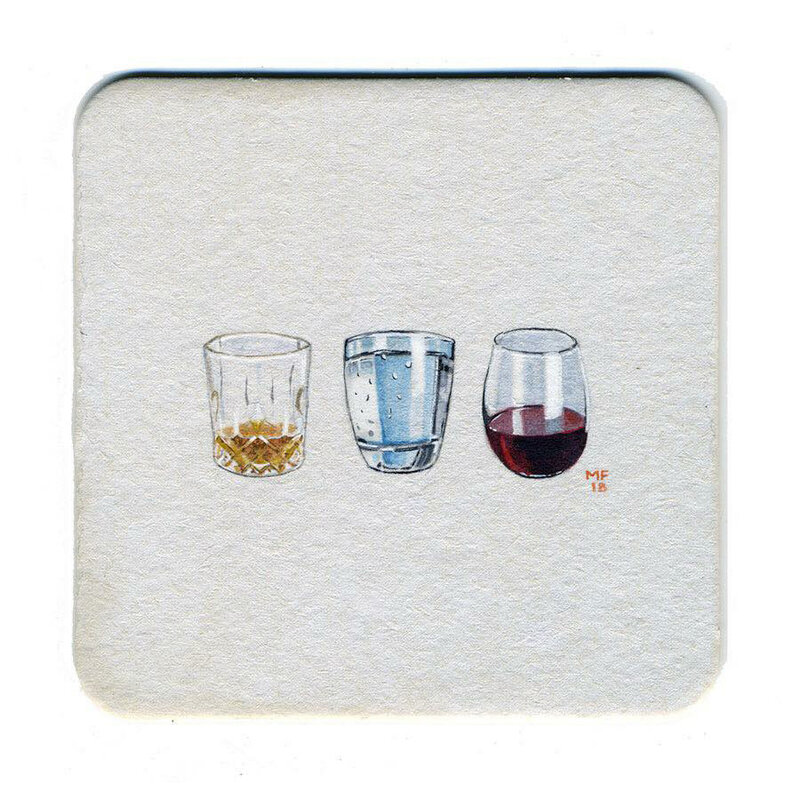 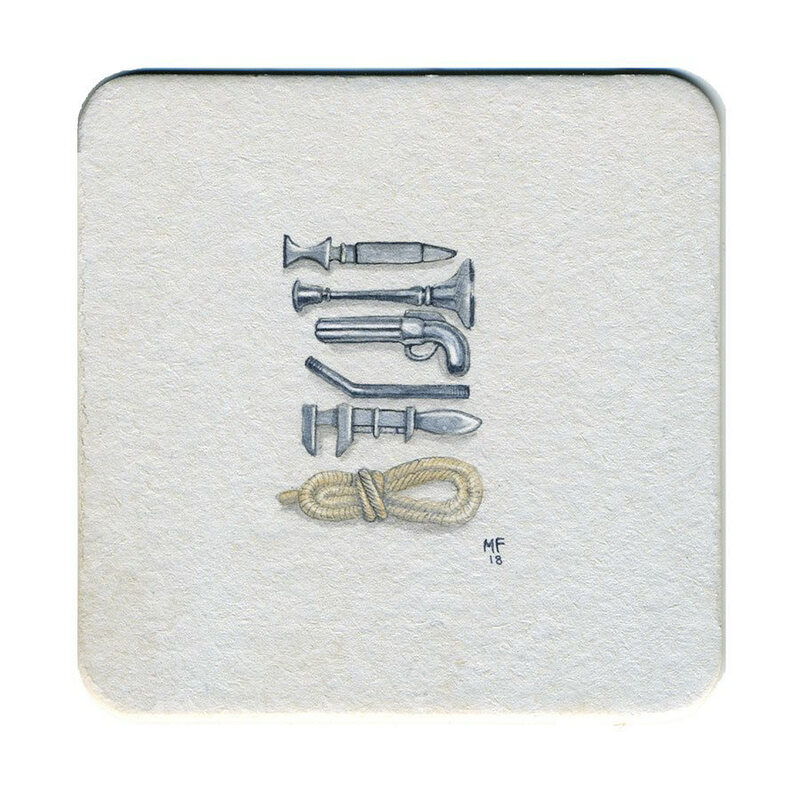 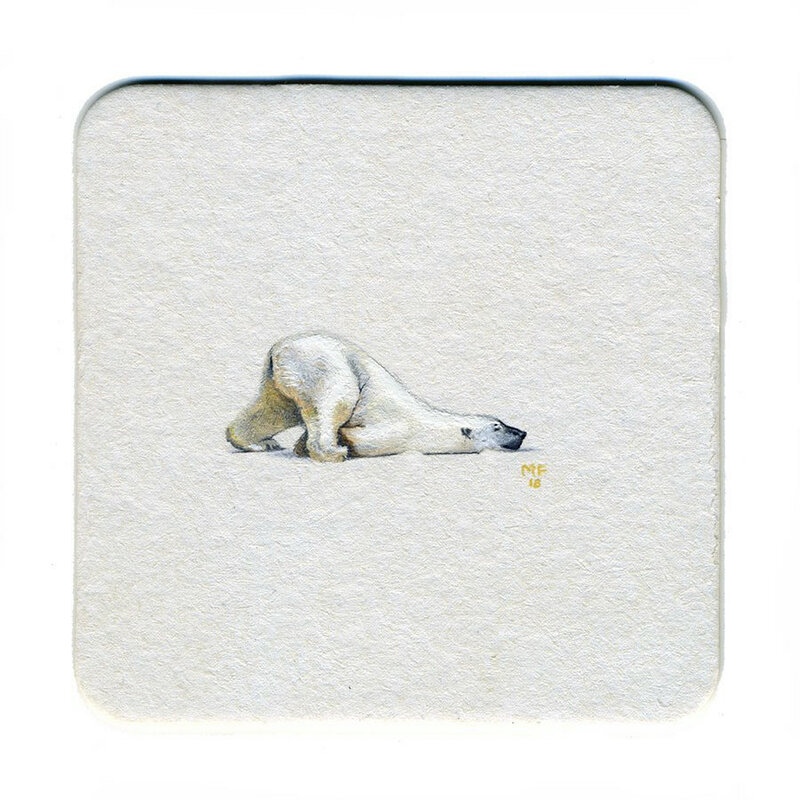 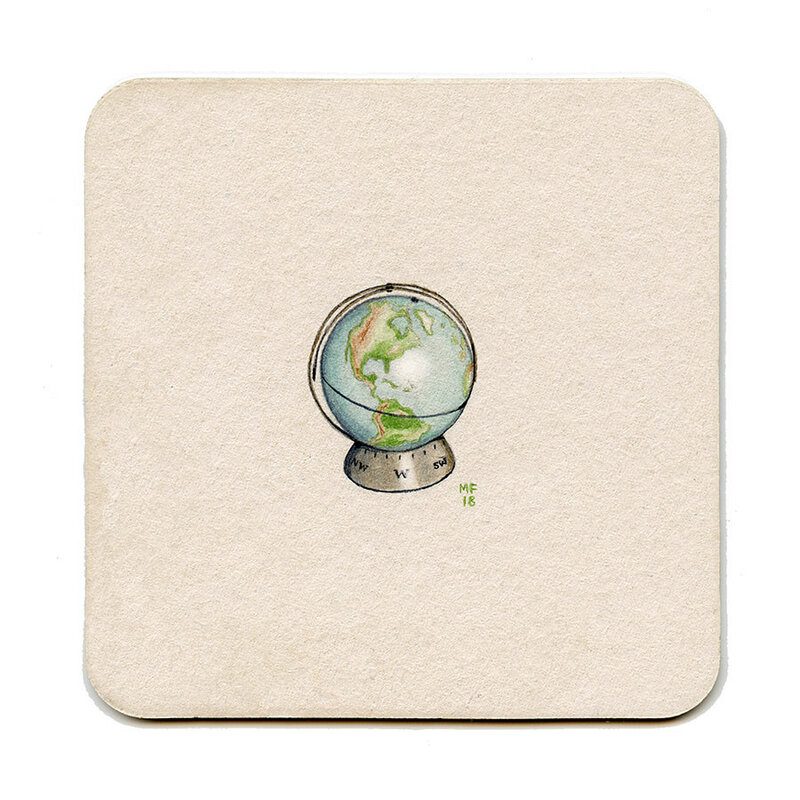 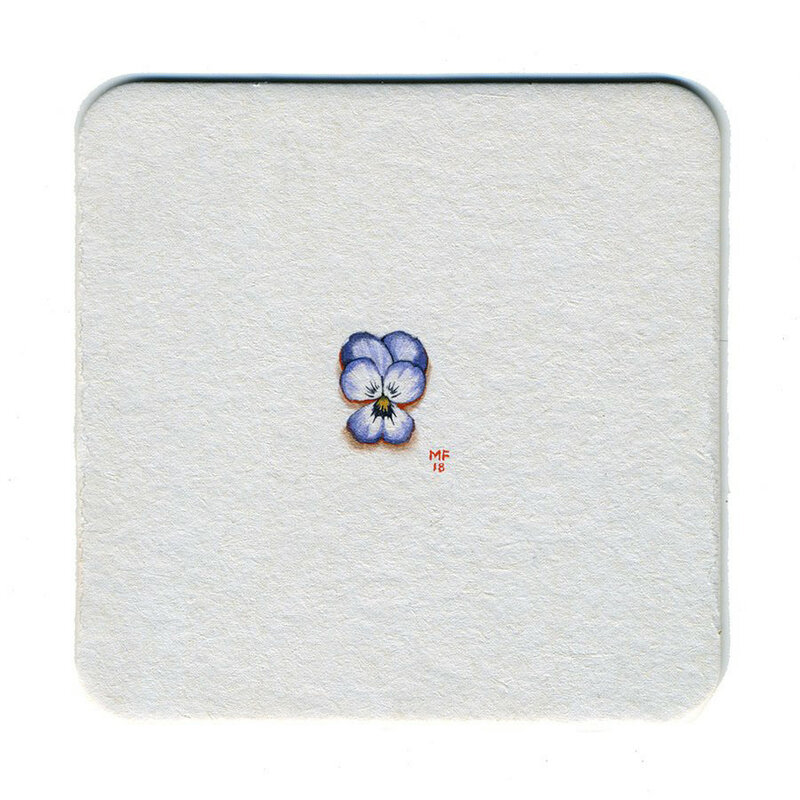 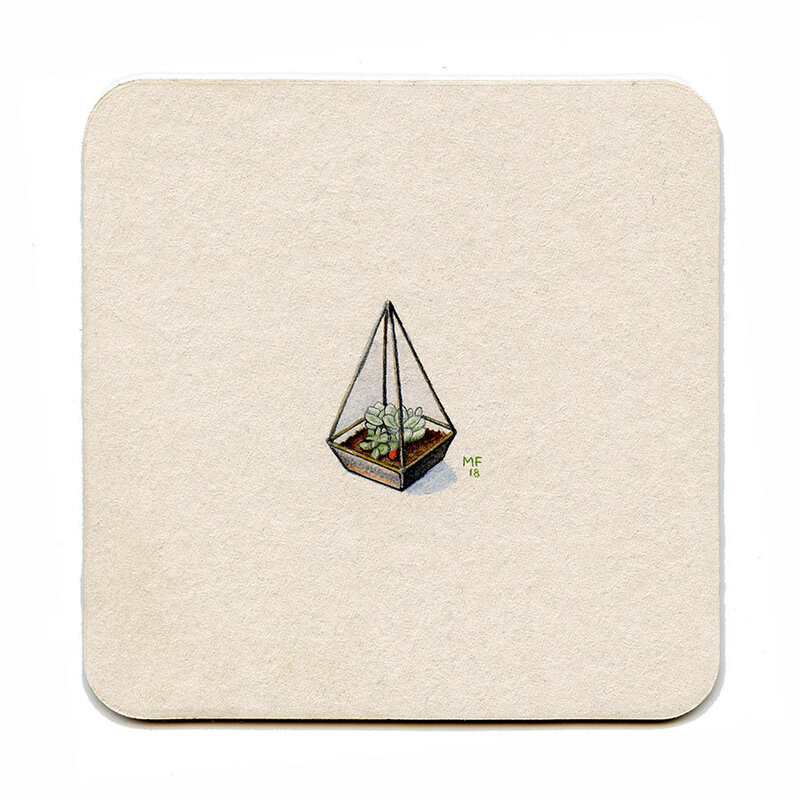 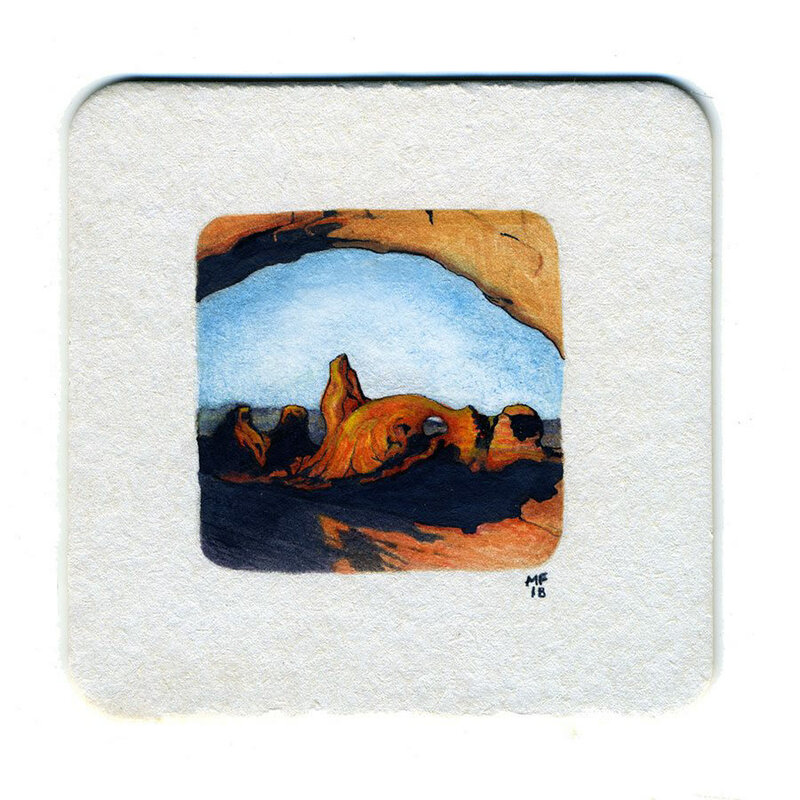 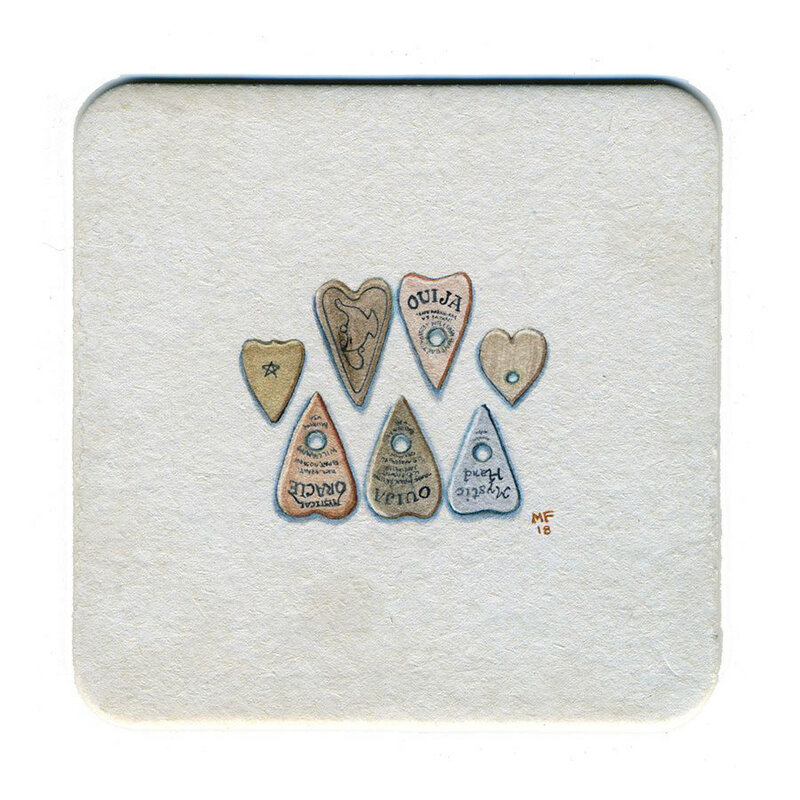 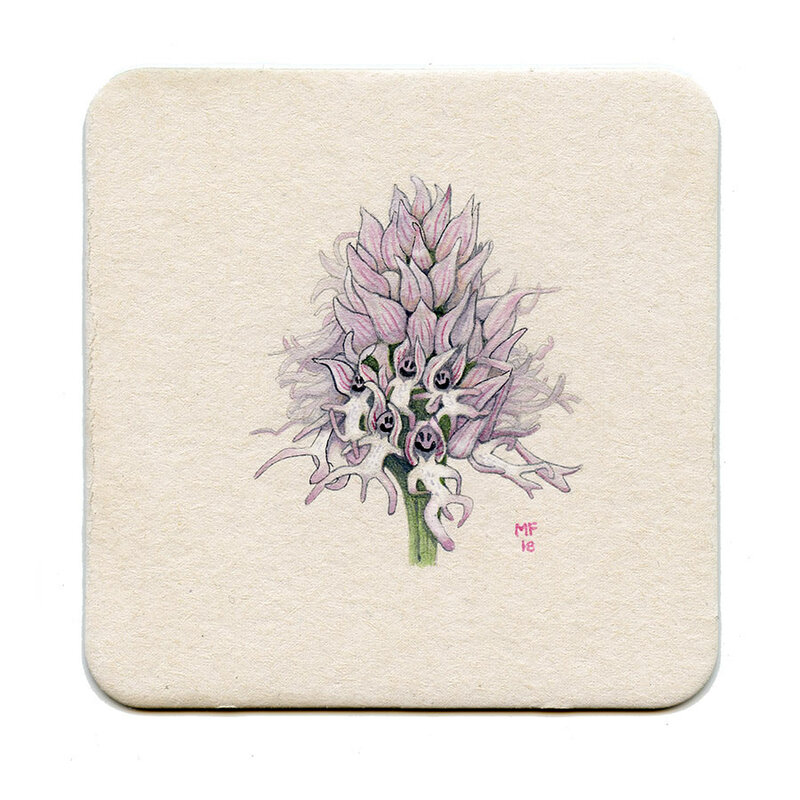 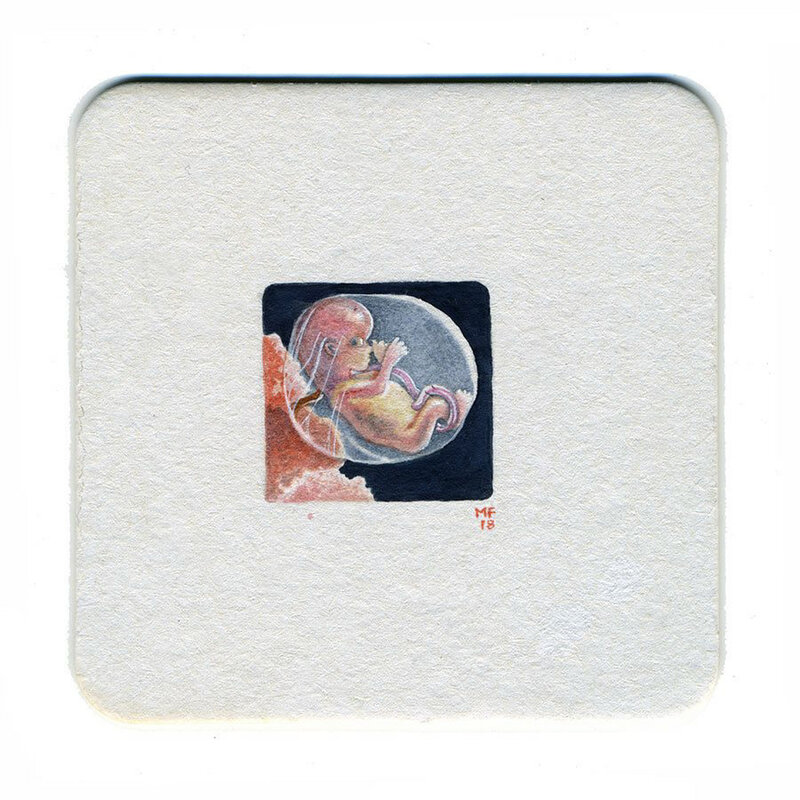 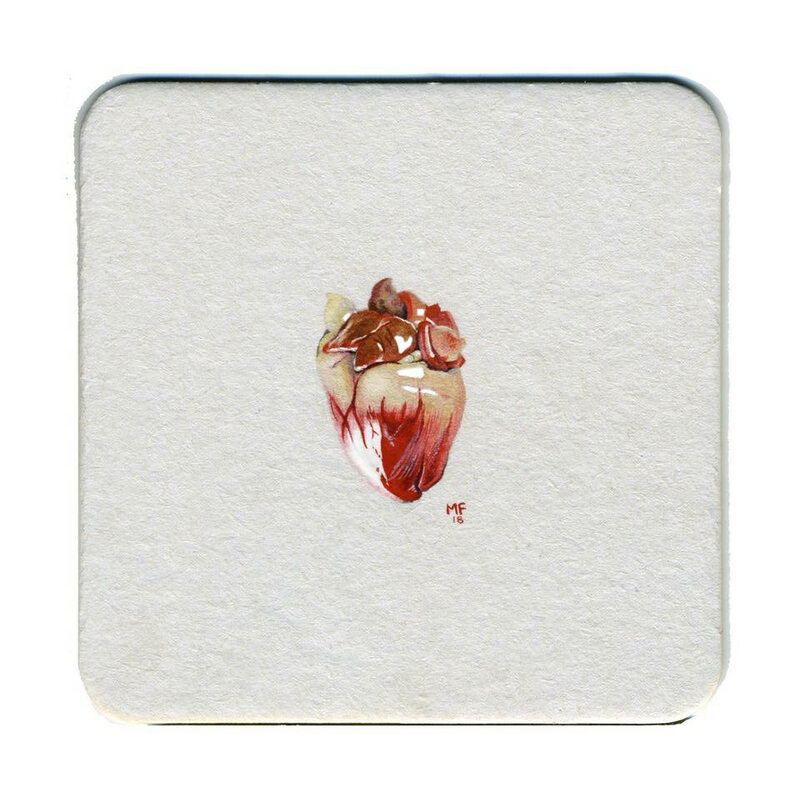 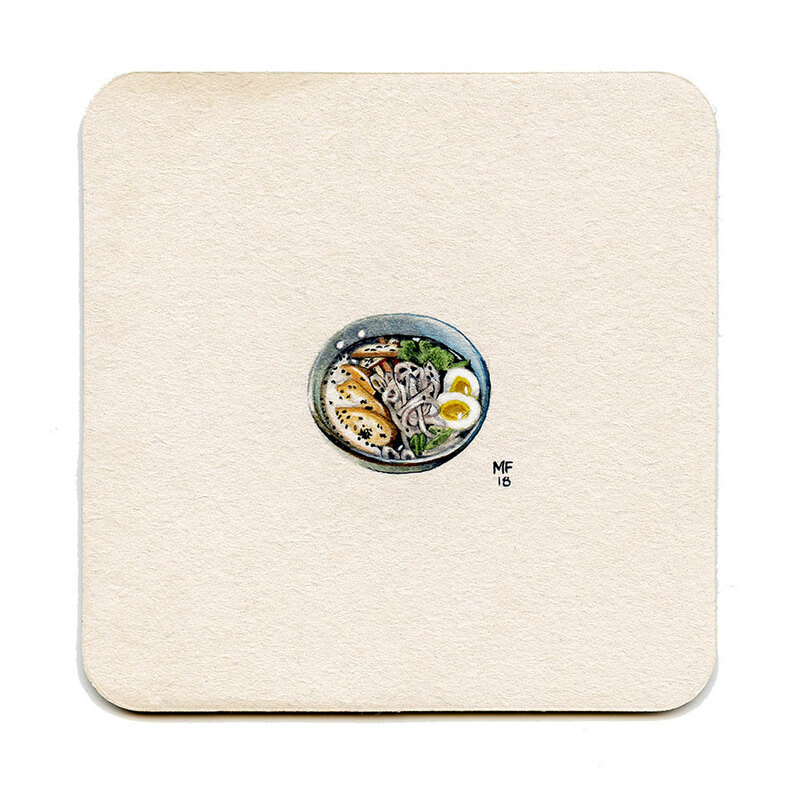 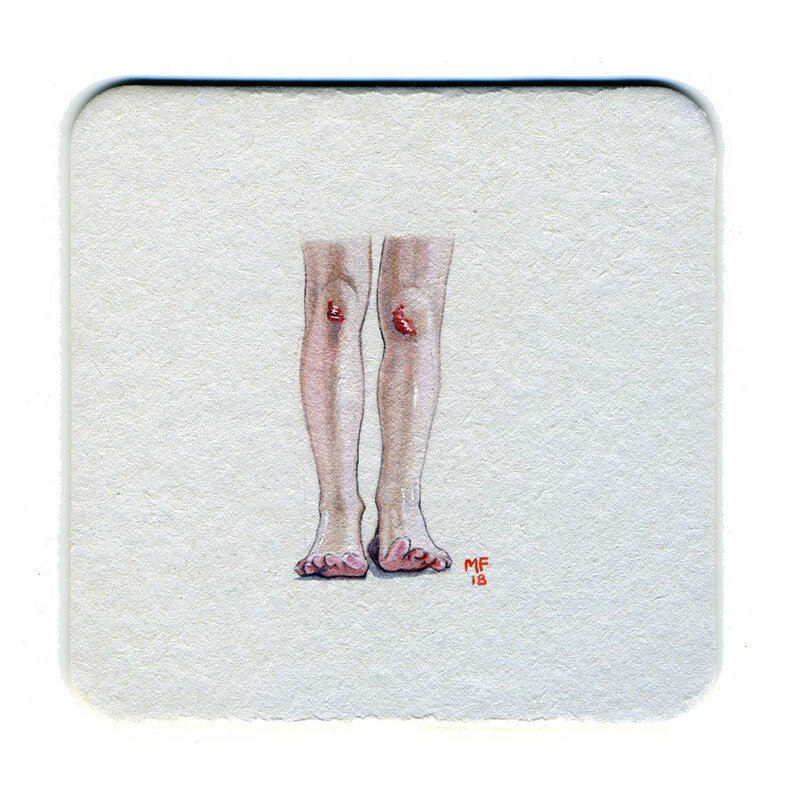 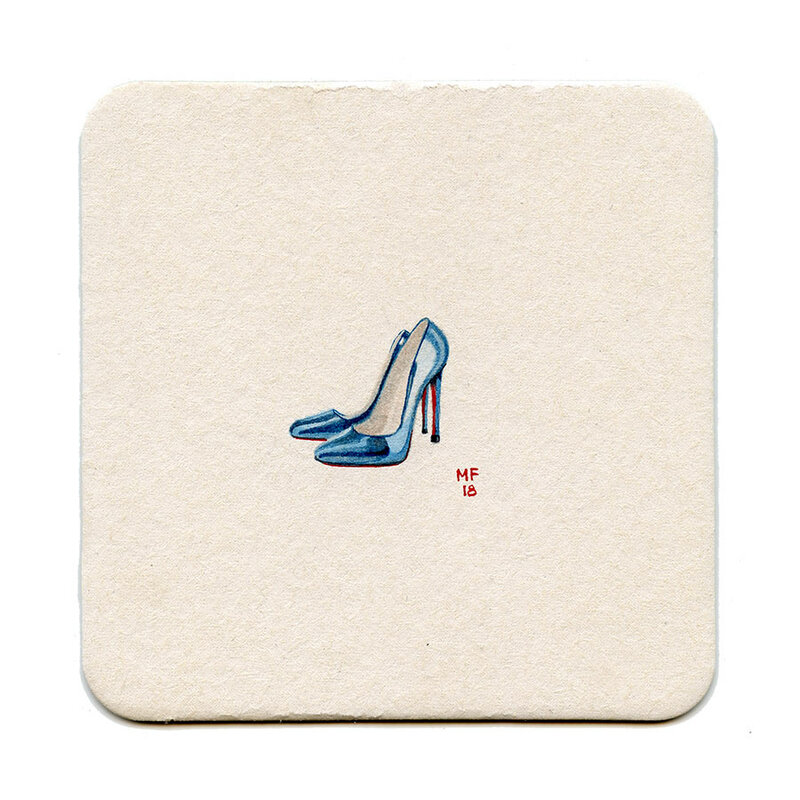 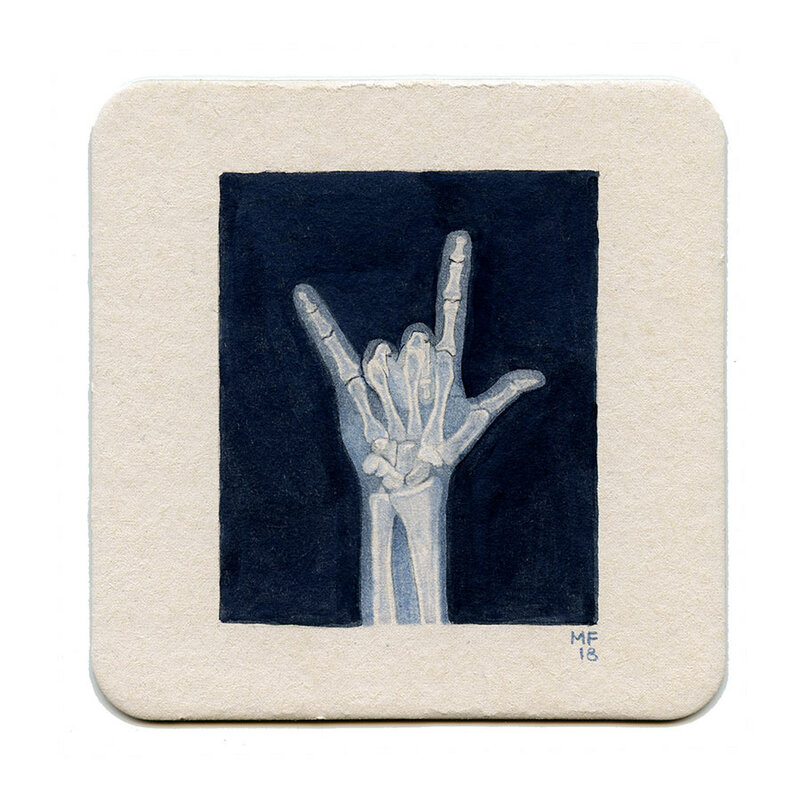 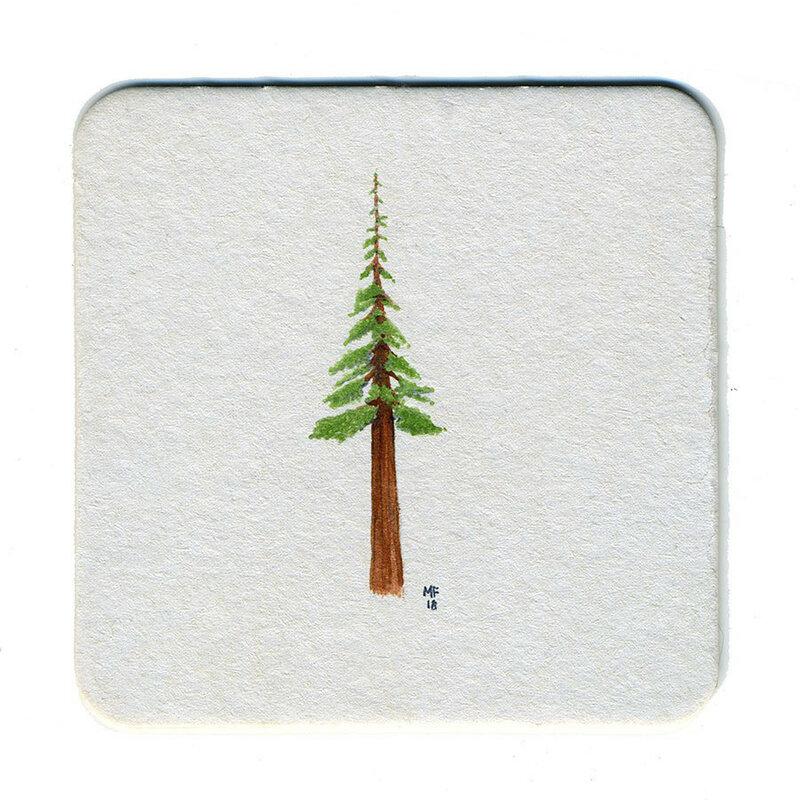 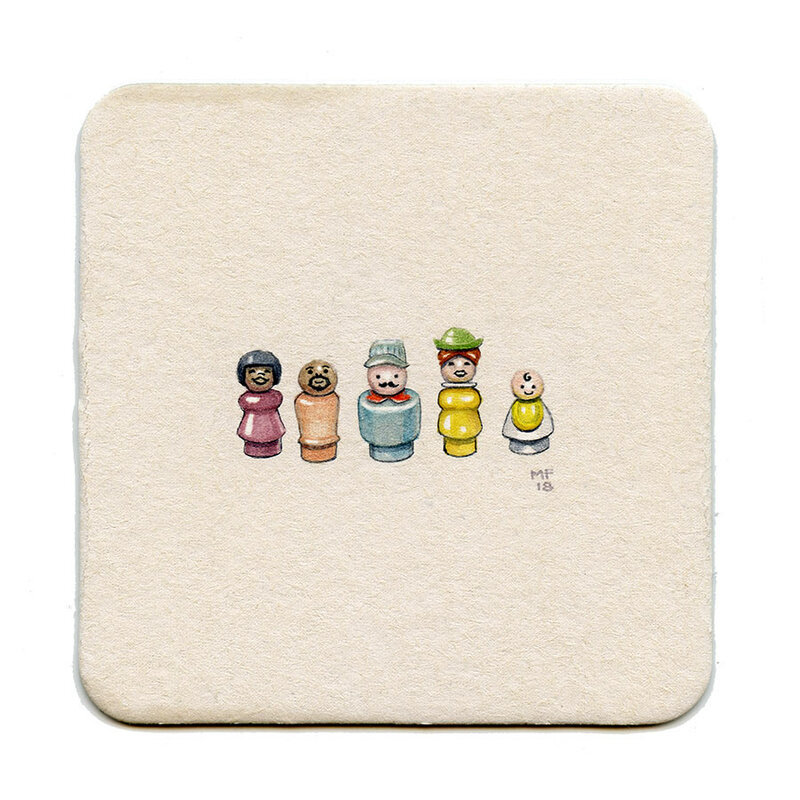 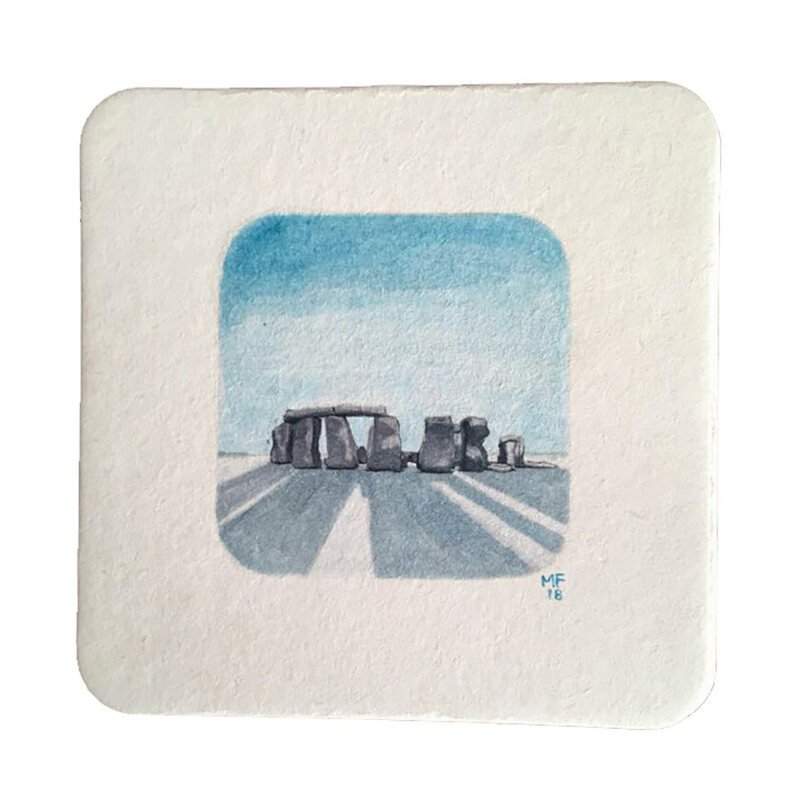 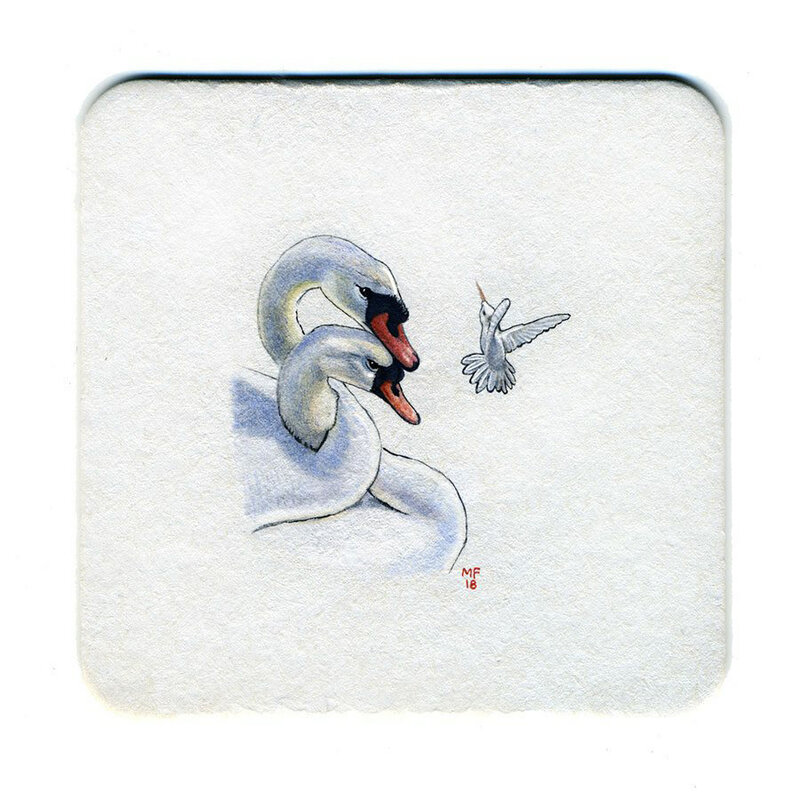 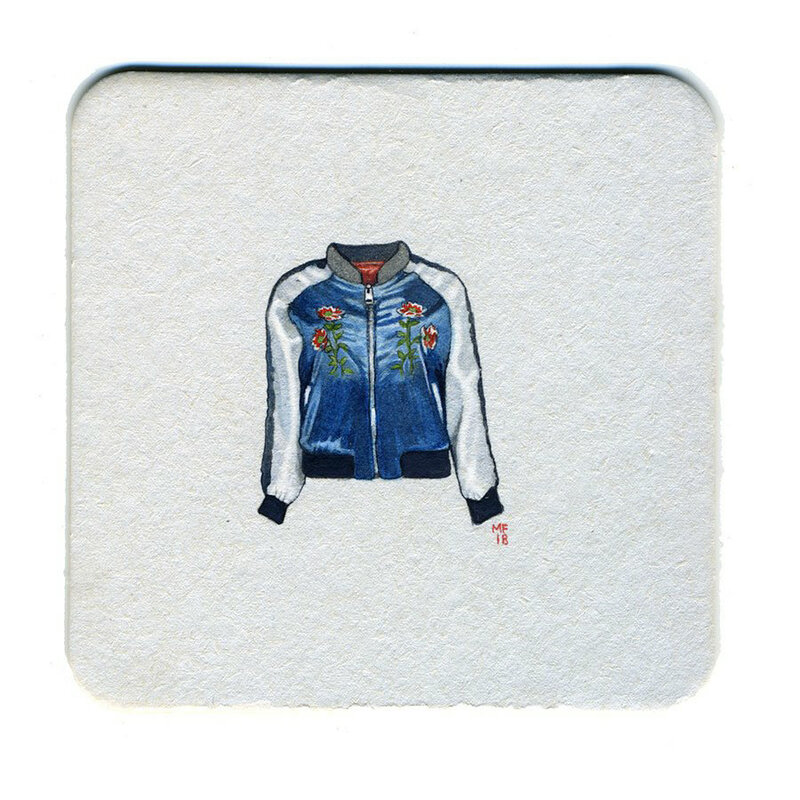 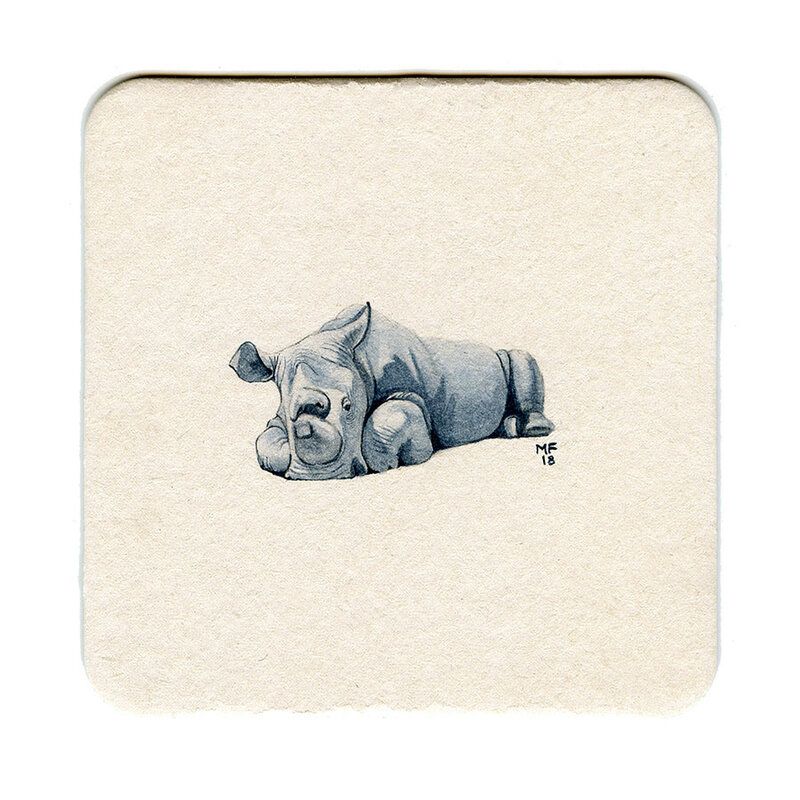 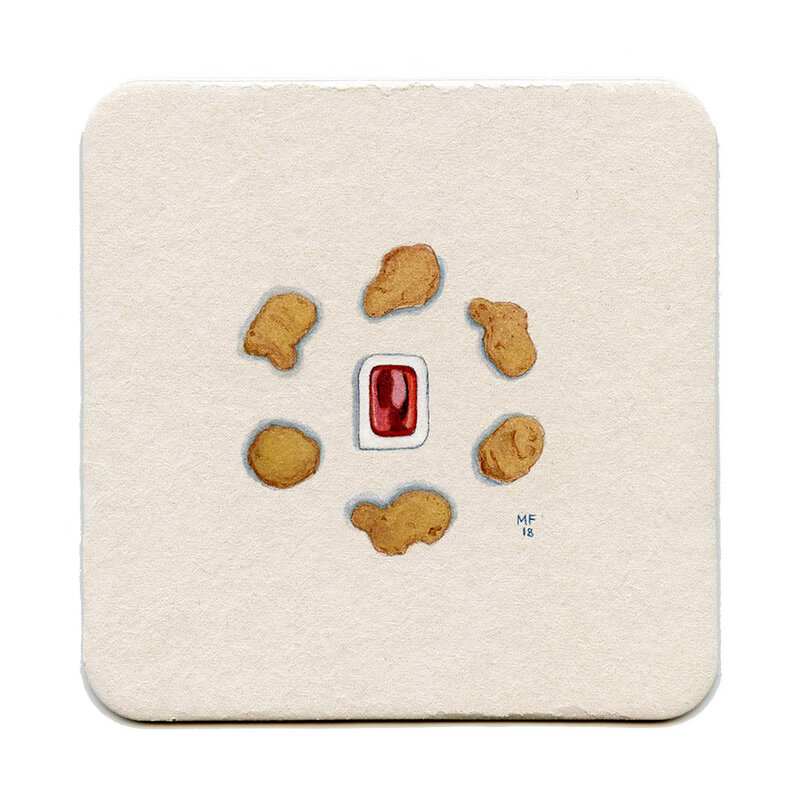 Small realistic watercolors on 4x4" chipboard coasters. 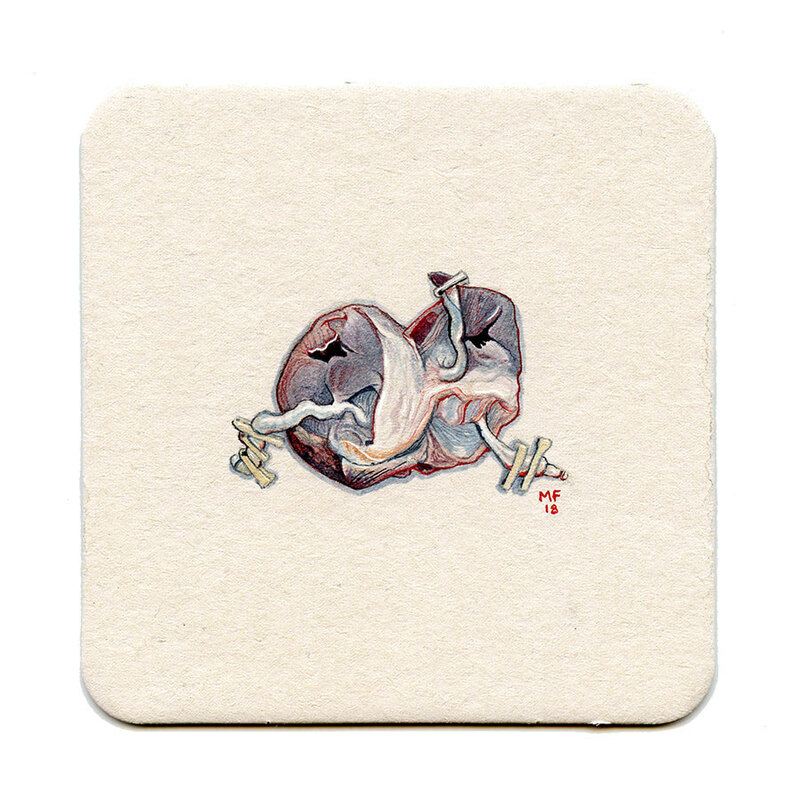 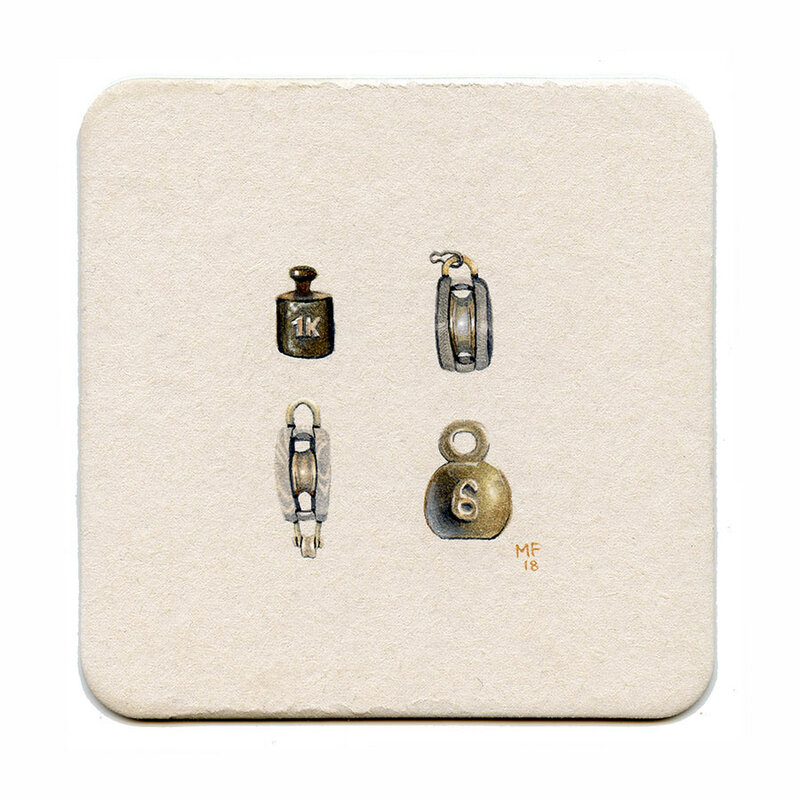 Each day on a theme: body, miscellany, plants, animals, food, fashion, landscapes.